Hi Tech Scaffolding is a locally owned and operated business proudly run by Sam Almashkor. Sam and his team pride themselves on providing professional customer service with safe and cost effective scaffolding solutions to suit any project. We own, sell & supply high quality Kwikstage scaffolding to the construction industry. We strive to provide cost-effective scaffold solutions that you can count on for safety, efficiency, performance and full OH&S compliance. We believe that scaffolding solutions must protect all users when on site. With this in mind, we only use the best quality scaffolding products so there is no compromise on workplace safety. We stand behind our range of Kwikstage steel scaffolding products, and ensure our scaffolding satisfies the appropriate Australian standards. The Hi-Tech Scaffolding team are skilled in all aspects of scaffolding applications so when we provide you with a quote, you can be sure you are getting exactly what you need to ensure the safety of your job and the people on it. Whatever the size or location of your site, we will have a fit-for-purpose solution to suit. 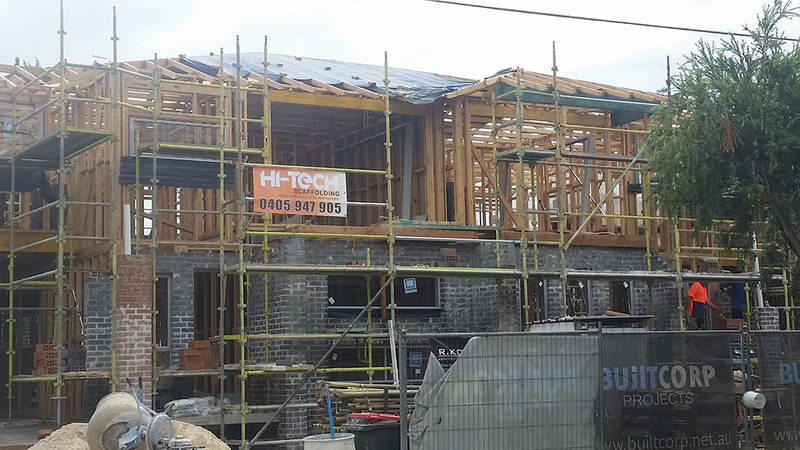 Hi-Tech Scaffolding strives to deliver the best possible pricing without compromising on the quality of the project. We work to find cost effective solutions to suit your project and utilise our advantage of employing our own workforce and using our own scaffolding equipment.